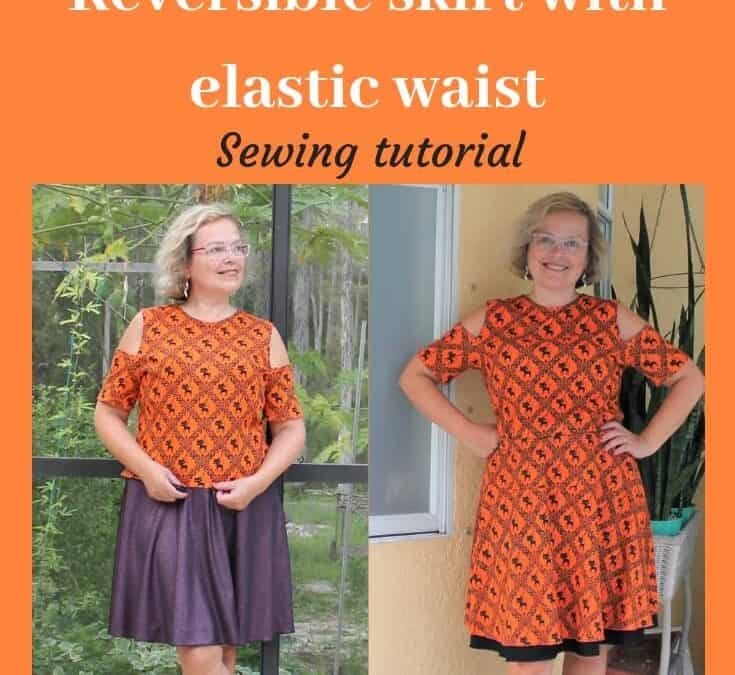 In this sewing tutorial, I want to show you how to make a reversible flared skirt with an elastic waist from knit fabric. I will try to illustrate how I made the skirt without a commercial pattern – we will draw all the necessary lines right on the fabric. Halloween is coming soon, so I decided to use interesting Halloween fabric (100% cotton) for one side of the skirt, and for the other side, I will use just some plain knit fabric with a little bit of spark (coming from metallic threads).